I mentioned this before and I'm happily following through, I have many patchwork quilts in the works. So simple, so classic. 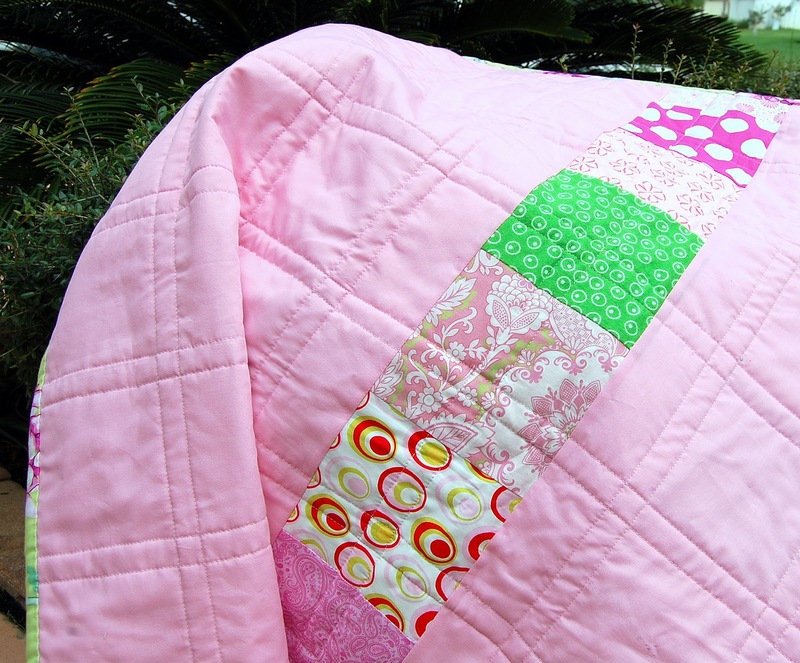 I am working on some larger ones too, not quite twin size, but throw size ... for bigger people to picnic on, snuggle on the couch under, use to decorate the end of a bed, drape on a favorite chair to add color to a room, or whatever else big people want to use a big little quilt for. 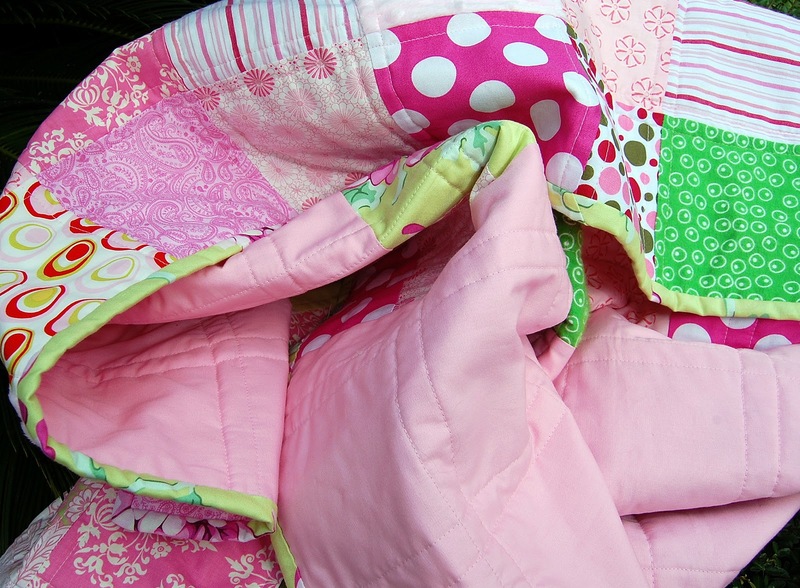 This quilt was finished a bit over a week ago at a cub scout camp-out. I crack up at the almost apologetic, "we have lots of activities for the kids, but there really isn't much for the parents to do" heard frequently. Seriously, what could be better? So while River and the other kids wrestled with trees (I didn't see a single child without wounds of war) and battled mosquitoes (and not a one of them came home without itchy reminders of those little fighters) I sat with my feet up, chatted, and finished this delightful quilt. Again, what could be better? 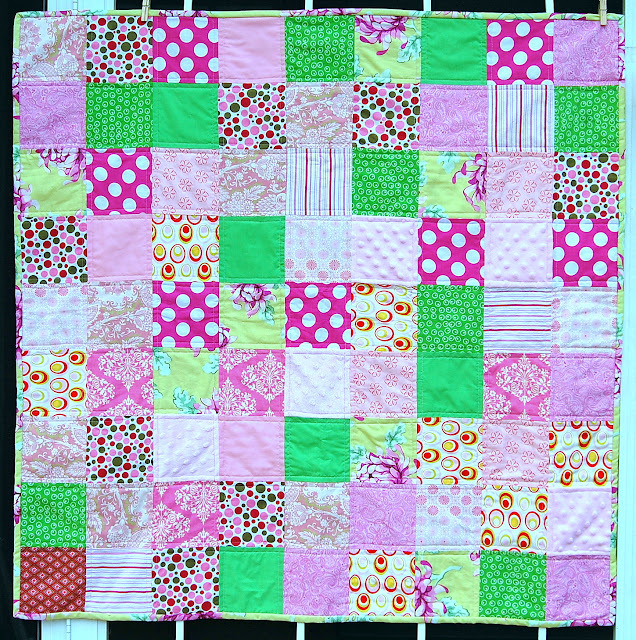 Pink and green, a sister quilt to the blue and green quilt I recently completed. The quilting is done with straight lines again, a bit further apart than the blue and green quilt, far enough apart to create just the right look. 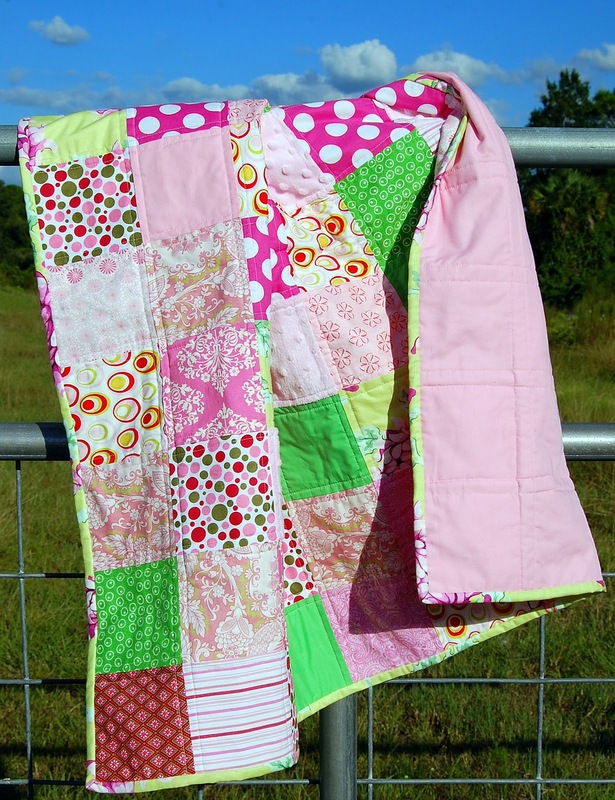 The binding is a fantastic green and pink Heather Bailey fabric. If you haven't yet, visit this post and enter to win a set of beautiful fabric coasters.